Okay, I’m convinced. Justin Bieber is hanging with the wrong crowd and they are definitely taking advantage of him. This morning Justin’s now infamous Ferrari was pulled over by cops. This time it wasn’t for speeding, but for the tint on his windows. So who was behind the wheel? 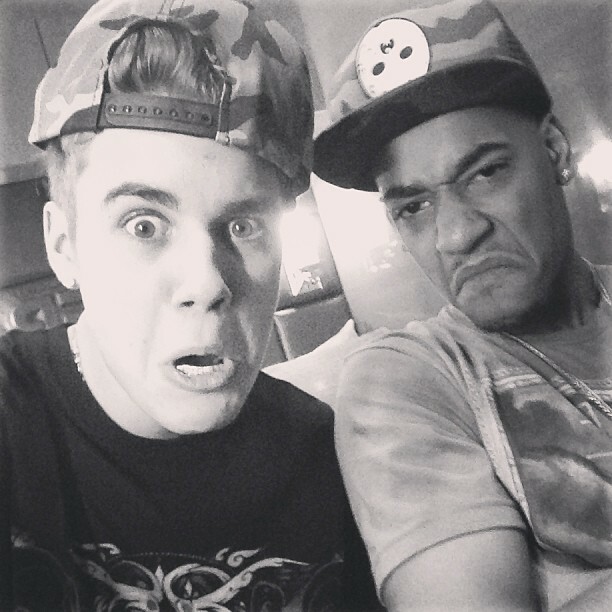 Another one of his so-called friends, of course – this time Lil Za. At approximately 1:30 AM the car was pulled over when it was discovered that the doucher behind the wheel was driving without a license. The driver was put in the backseat of the police cruiser, but ultimately he was let go with a slap on the wrist. E! has reported that a van showed up at a nearby gas station so that the Ferrari and two occupants (a man and a woman) could be picked up. TMZ attempted to get the identity of the driver, and finally did so. The latest rapper to take advantage of the gullible wannabe Beiber is Lil Za – and doesn’t he just look like a swell fella? To date, this car has inadvertently killed a paparazzo (yes, I know the car did not actually murder someone), and now the elusive driver can’t be identified? Why? Is Bieber’s team trying to hide something about the driver or are they just trying to make sure this latest incident doesn’t overshadow Justin’s record sales? Could the Ferrari be bad luck? My burning question is this…Why the hell is this kid letting people drive his almost $200,000 car like it’s a rented Honda Civic? Is Justin so lonely that he feels he has to buy friendships? I mean he does know that these “friends” are just using him, right? The Biebs can’t possibly be that naïve, can he? What do you think readers? Is the Ferrari bad luck? Could it be the next Christine (for you youngsters – Christine was a book/movie by Stephen King… Google it!)? Will JB continue to loan out these awesome whips in exchange for some attention and friendship? Dear Justin, if I promise to be your friend can I borrow your house?